User experience (UX) design needs to be creative in order to truly connect with users. UX designers solve problems, and the only way they can do so effectively is to think of innovative solutions. Creativity is a source of innovation, which makes it something businesses look for. Frustratingly, creativity can be elusive. UX/UI design is the process by which digital products are imbued with creativity. To understand where creativity in UX design comes from, we have to take a broader perspective and understand the role creativity plays in UX design. Few people realize how different UX design is from design in marketing. Product owners can support creative processes in their team by understanding where creative ideas come from. Some product owners and stakeholders apply the same mental schema of design in advertising to digital product development. They don’t realize that digital products are different, and that UX/UI design requires a distinct set of skills and practices. In advertising, designers compete for attention. Brands want to stand out through advertising design. Thus, the purpose of ad design is to attract attention, break patterns, and shock or delight viewers. 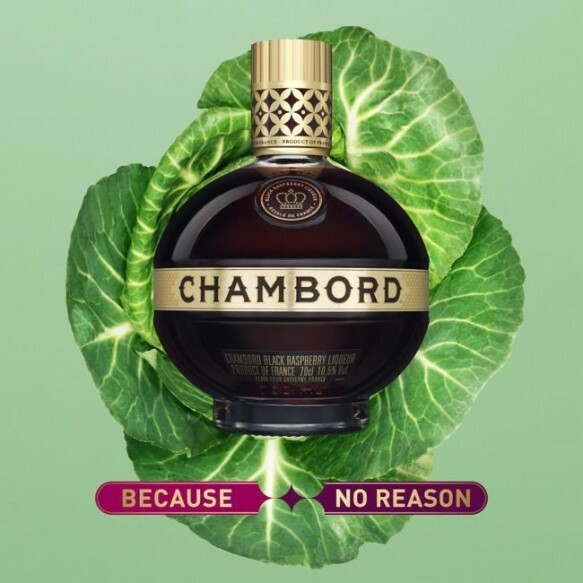 However, ads may have little conceptual depth - sometimes even none, such as in this ad for Chambord. The language (“no reason”) doesn’t tell viewers anything about the product. User experience (UX) design for digital products like mobile apps or websites is different. There is no competition for attention, because by the time users engage with an application, the app already has users’ attention. That’s why UX/UI design is different from advertising, both in terms of the goals and the process. The idea that creativity stems from a brilliant insight is not true in UX design. UX design cannot rely on any one insight because digital products are too complex to come from a single idea. For digital products to be effective, they have to be mapped to a system of ideas and insights that reflect users’ reality. Eureka moments don’t serve as the sole source of brilliant applications. Rather, creativity is the result of hard work, often without any element of shock, surprise or spectacle. Creativity in UX/UI design comes about by emergence, meaning that the sum is greater than its individual parts. The parts on their own have little to no meaning. In UX design, creativity means making it easier for users to do things in an application, as well as to bias their behavior towards certain outcomes. The creative process involves uncovering users’ needs. If UX designers don’t look to their potential users’ needs, the app may not be relevant. Creativity means solving problems that prevent product owners from finding out those features of reality, much like in science. Next, UX designers create interactions that are meant to be used to achieve goals. The goal is rarely to surprise the user, even if creating anticipation is part of many user flows. Instead, designers apply creative thinking to come up with ever better solutions to each interaction. The focus is on better, not on different for the sake of surprise. Often, better means familiar. 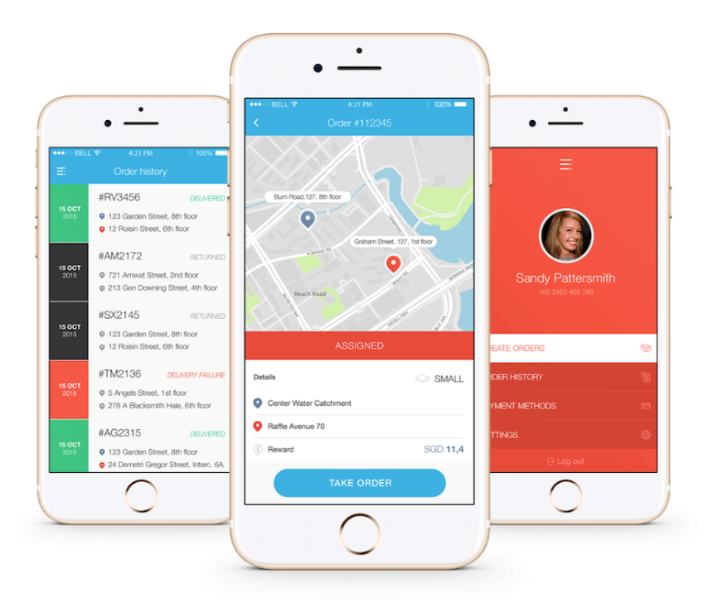 For example, the app we created for Zap Delivery, a Singapore based startup, features common design patterns because they deliver the best experience. 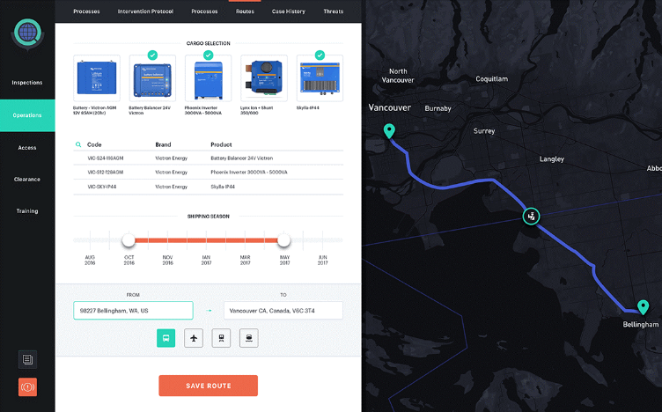 Maps, order histories, and profiles are portrayed with simple, bright designs that make navigating the app easy. Sometimes, better means a new type of interaction based directly on user needs. For example, our World Customs Authority app is both simple and original. The originality: officers from Dubai to Canada use this app. We had to reconcile the variety of use cases with a complex information system – that is, hundreds of border control agencies and their clients. Focusing on ease of use for all types of users was ultimately the best way to proceed. UX design is a chain of decisions, each of which involves comparing the pros and cons in a systematic way. Rigor is important in this process, but it does not hamper creativity. Periodic assessment during the design process helps UX designers come up with better solutions. UX designers generate multiple options, each with a focus on one aspect of the problem to be solved. This is known as divergent thinking. For example, an app designer might propose two alternative view types: one as a card and one as a list. As stakeholders consider these versions, designers can generate new work that takes feedback into account. This is called the convergent phase. Designers apply the cycle of divergent and convergent thinking at every level. This iterative process ensures that users get the best at a general and micro level. Some people might think this process means there’s no room for creativity. However, true innovators like Apple know that brilliance does not come from random strokes of genius, but from arduous persistence in making things better. For example, most often new iPhones focus on many small improvements that make existing features such as shortcuts, messaging or photos more relevant. 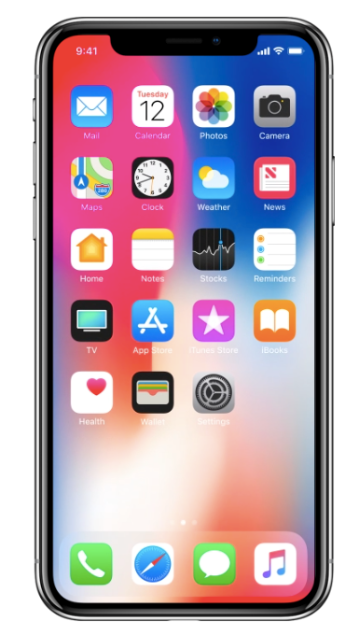 New models like the iPhone X don’t promote flashy features that may be of little significance to the users. For a system to be brilliant, it must have coherence and structure, but it must also have flexibility so that it can accommodate reality. Creativity in UX design is a matter of reconciling good, but abstract ideas with reality. UX designers use a structured process that reconciles business needs with a systematic design practice. Business owners or managers looking to hire a UX designer should search for one with a meticulous work ethic that takes into account both divergent and convergent practices. Dennis Lenard is the CEO of Creative Navy, a UX/UI design agency specialised in demanding projects spanning web, native software and mobile. 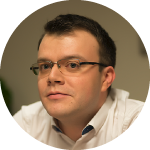 He has managed over 200 design projects and worked closely with product teams all around the globe. Read detailed client reviews of UI/UX agencies to find the best provider for your business. Apply data on user intent to shape your website's UX.